If you have been keeping up with the news on CBD oil, you must have recently heard about water-soluble CBD which is touted to be a new type of CBD. When you take CBD oil sublingually by placing it under your tongue and holding it in for up to 3 minutes, you can feel the effect much more quickly as the active component in the CBD oil get absorbed directly into the bloodstream in this manner. This has a number of benefits over consuming CBD oil in a capsule form or putting CBD oil directly into your stomach. When you put CBD oil drops directly in your mouth, these go through your digestive system before being absorbed in the bloodstream and CBD components need to get absorbed in the bloodstream in order to provide you with the required benefits. Therefore, the major advantage of taking CBD oil sublingually is that it helps in getting CBD as well as various other cannabinoids into the CB2 receptors much quicker and in a much more efficient manner as compared to when you just swallow CBD oil. This happens due to the terpenes in the CBD oil getting distributed much more efficiently and quickly in your body. However, there is still a problem when you take CBD oils sublingually. This is due to the reason that oil does not mix well with water and 80% of your blood is nothing but water. To understand it better, consider the process of making a vinaigrette salad where you mix oil with vinegar. When you mix all these things, vinegar (which happens to be a water solution) and oil stay separate at the bottom of the salad bowl. You need to use a whisk with a lot of force in order to mix the oil and vinegar together. You will notice that the vinegar and oil still separate out in case the vinaigrette salad is left out for too long before you serve it. Also, you will find small oil beads floating in the water when you take a close look at the vinaigrette. This is due to the reason that oil and water do not mix well. This is what happens when CBD oil is absorbed the bloodstream. Due to the powerful pump action provided by you heart, which acts as your internal whisk, the blood rushes through the blood vessels and mixes with the CBD oil molecules. However, this does not lead to full dissolution of CBD oil into the blood in the cells as these cells are made up of around 90% water. In such a situation, some of the cannabinoids and terpenes reach the CB2 receptors but a lot of these nutrients go waste as they never get a chance to be get dissolved into the blood. What really happens is that most of the nutrients in the CBD oil are flushed out from your body before they can be absorbed. This is where you need to understand the term bioavailability. In simple terms, bioavailability may be defined as a measure of the amount of nutrient that can actually be used by the body and put to good purpose when it goes into your system. Some experts have estimated that only around 10% of the total available cannabinoids and terpenes are directly absorbed in your body when you take CBD oil sublingually and this ratio goes further down when you consume it in capsule form or directly. The biggest advantage of buying water-soluble CBD is that a much higher percentage of cannabinoids and terpenes are directly absorbed into your body. In fact, it is estimated that almost all the cannabinoids and terpenes present in the CBD oil are absorbed in the blood in case of water-soluble CBD. In simple terms, you get much greater benefits even if you take a lower amount of water-soluble CBD. You can also save a lot of money without compromising on the therapeutic benefits of CBD oil. There are several other advantages of water-soluble CBD. One of the other advantages is that it allows you to accurately measure the serving size which means you can easily get the desired therapeutic effect. One of the biggest problems with CBD oil is that users are unaware of the actual dosage they are receiving as they are unable to measure the exact amount of active components that are actually absorbed by the body. On the other hand, you can rest assured that a majority of the terpenes and cannabinoids as well as other nutrients present within the CBD oil will be absorbed in the body in case of the water soluble CBD. This will allow you to accurate measure your dosage in order to get the desired benefits. CBD oil isn’t naturally water-soluble and therefore, some reengineering needs to be done inside a laboratory in order to make it water-soluble. 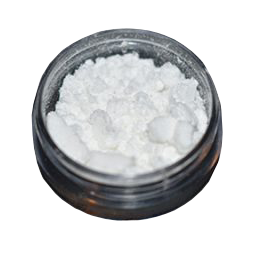 Once the processing has been done, it is usually sold as water-soluble CBD powder or water-soluble CBD liquid. As far as the process for converting regular CBD oil into water-soluble CBD is concerned, it is patented and nobody is aware of the exact details about how the process works. However, here are some bits and pieces that we do know about the process. In this process, the CBD oil molecules are processed into nano-sized particles. These particles are so small that these can easily mix into the blood. While you wouldn’t call it dissolution exactly but the final results are close to that. Another thing we are aware of is that these CBD oil molecules are combined with curcumin in order to make them more water-soluble. As far as the benefits of curcumin is concerned, it may help with keeping Alzheimer’s disease at bay. It is also considered safe. Also, CBD oil is known to prevent many different types of cancers including colon cancer, prostate cancer and breast cancer among others. Curcumin has a neutral pH and is slightly water-soluble at room temperature. However, researchers have been able to make curcumin molecules a lot more water-soluble by tinkering with the pH and temperature levels. When you are buying water-soluble CBD, it is important for you to ensure that it’s a full spectrum version. A full spectrum version means that none of the cannabinoids, phytonutrients or terpenes were removed during the reengineering process. The water-soluble CBD is sold in liquid as well as powder forms.